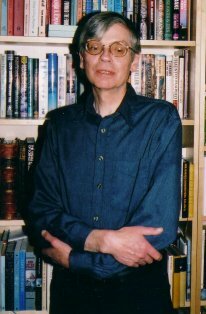 David Johnson (1942 - 2009) was an Edinburgh-based composer, musicologist, music journalist, recorder player, cellist and publisher. He held teaching posts at the University of Edinburgh and the Open University. His composition catalogue comprises some 50 works, ranging from short pieces for amateurs and schoolchildren to substantial works such as 12 Preludes & Fugues for piano (1995) and the opera Thomas the Rhymer (1976). In recent years he had directed the CDs The Art of Robert Burns and More Art of Robert Burns for the American label Scotstown; and had his 1-act opera Sorry, False Alarm premiered by Trinity College of Music in London, and his Concerto da Camera premiered by Napier University in Edinburgh. Music: David Johnson. Words: Late mediaeval English anon. Music: David Johnson. Words: Martin Luther, trans. the brothers Wedderburn.